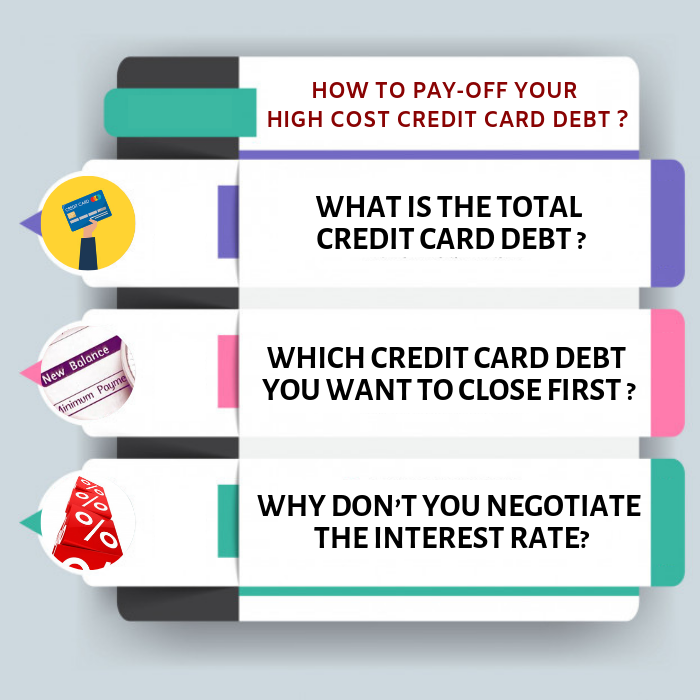 How to Pay-off your High Cost Credit Card Debt? I remember of a recent incident, where a young man of about 30 years, who came to me for a consultation. He wanted to check with me different modes of borrowing money at a lower interest rate to pay off his high cost credit card debt. I was curious. He was earning well. He did not have any other debt. He and his family were staying with their parents, hence he was not incurring any rent cost, no electricity cost, no food cost, no car instalments or insurance cost (he was driving his father’s car). Why then the credit card bills have gone up so much? Well his credit card limit is Rs5,00,000/-. I asked him why he wants the loan. He told that a loan at a lower interest rate will save him lots of money in repaying the credit card outstanding debt. The credit card company was charging him @ 36% p.a. I was happy to know that the young man had at least has taken two forward steps to pay off his high cost debt. We did a small study of 30 people in the age group of 27 to 35 (this young man was not part of this study) who are earning in the range of Rs10 lakhs to Rs15 lakhs p.a. about their credit card holding pattern and about their average outstanding credit card debt amounts. We found that on an average these 30 people were holding 3.6 credit cards, i.e., between 3 to 4 credit cards and 26 out of 30 people did not know what were the total credit card debt they have at any point of time. They were bit lazy to find it out. 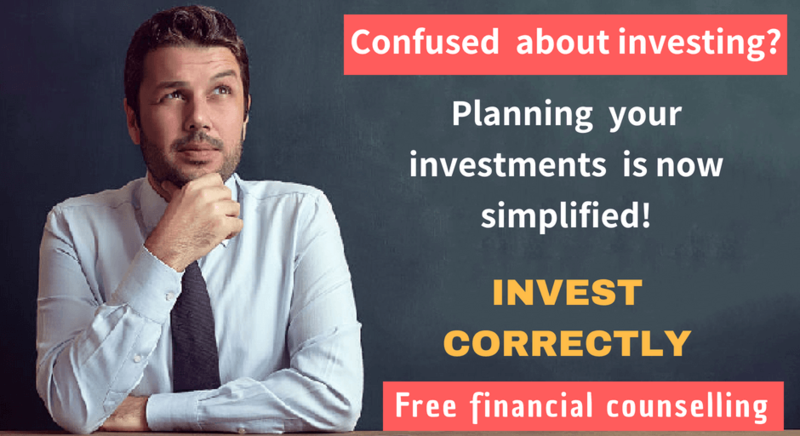 We became concerned at their attitude, and as a Financial Planner, the first thing we tell our clients, is that what cannot be measured cannot be controlled. The above table would help these 26 persons to know their outstanding total credit card debts at a given point of time. This was the first easy way. Since they have measured their Debt, we will now discuss how to get rid of these costly debts. There are two approaches to pay off the debt. Look at them and decide about which one you feel comfortable to follow. The first one is to pay off the minimum amount required in all the debt but pay a little more with the highest interest rate. The second method is to pay off the minimum balance in all the credit card but pay a little more where the debt is lowest (but not necessarily with the highest APR). The first method will help in reducing the cost of debt burden. The second method will give you the psychological satisfaction that one of debt is nearing to be paid off. Choose any one of these methods where you feel most comfortable. As you are holding between 3 to 4 credit cards you can play one against the other and negotiate for a lower interest rate with credit card companies. If you are persistence, there are chances one or two credit card companies may agree to lower the interest rate, thereby reducing your cost of debt burden and helping you to reduce your debt. Now look in to the alternatives where from you will be able to raise money pay off the debts faster. Think. You may have a relative or a friend or a business associate who can finance you on easier times. There are banks who are giving personal loans at interest rates between 13 to 14 percent. You may be having some investments/ assets like PPF or insurance policies or jewels which can be pledged and taken loan at a rate lower than the interest rate charged by the credit card. Now you look at your cash inflows and outflows and try to see that whether, you will be able to increase the cash surplus (difference between cash inflows and outflows by reducing the cash outflow. You need some financial discipline to able to do it. 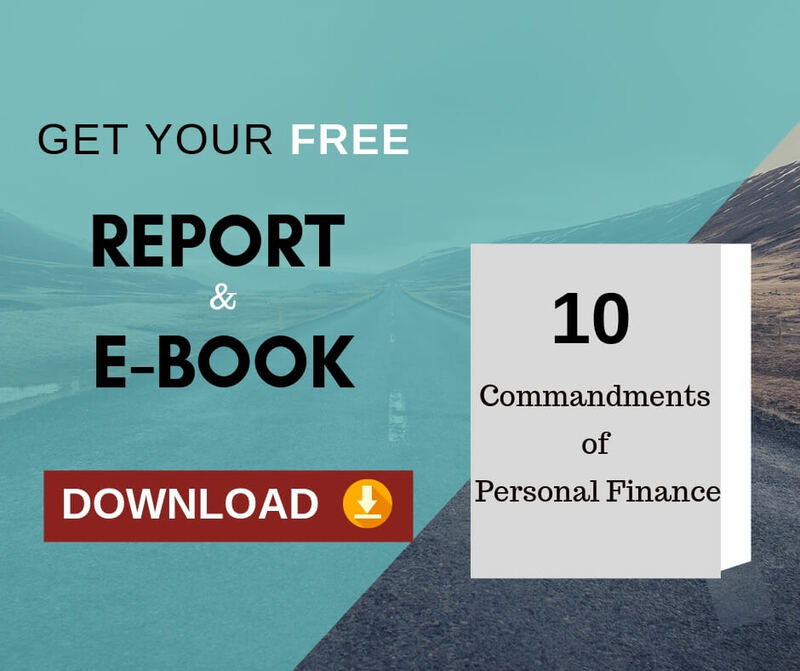 Now tell me all the above ways are easy or not for you to follow and get rid of the costly debt which you have acquired and feel more relaxed and happy. Next Next post: How to Cultivate the Right Mindset to be a Successful Investor?